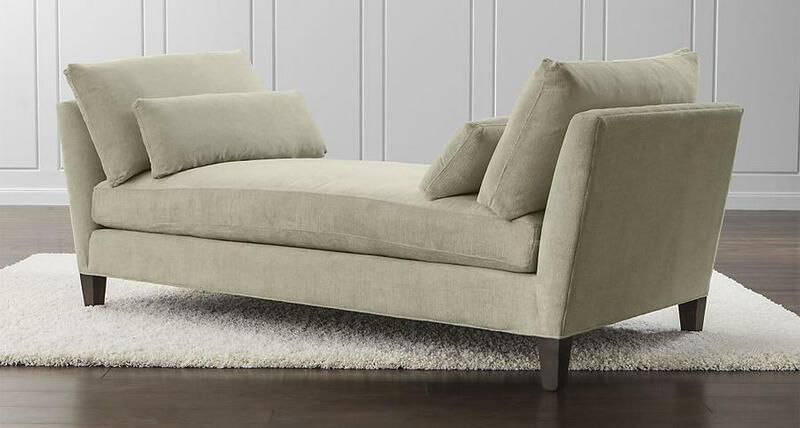 This twill upholstered daybed (with a deep seat) doubles in size with a pop-out trundle that’s perfect for guests. 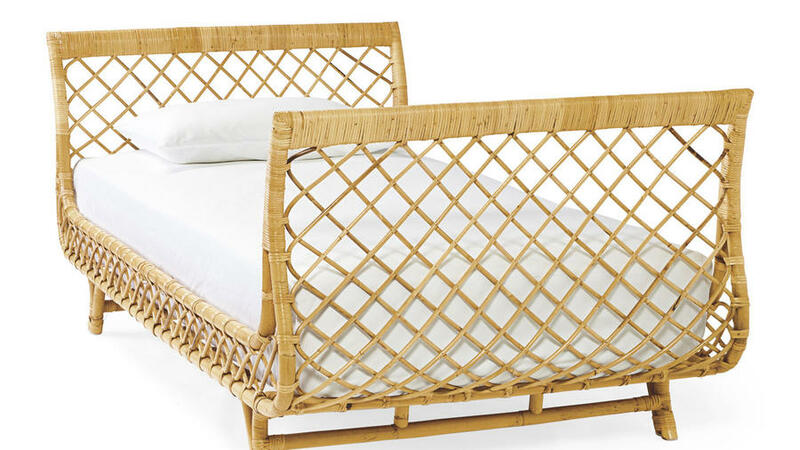 This woven rattan frame adds natural beauty to any room, while the mattress begs for a nap. 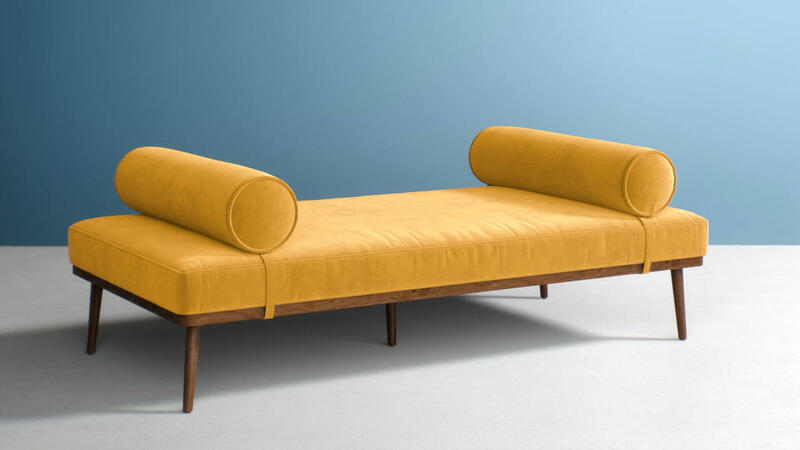 This daybed with an acacia wood frame (with walnut stain) and 100% cotton dhurrie mattress cover has a mid-century look with a Hollywood soul. Consider it in the middle of a room, as shown here. Small space? 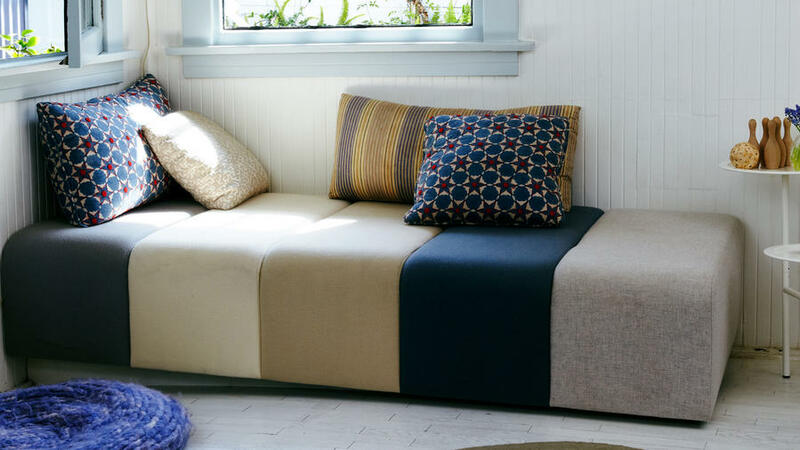 Tuck a frameless daybed into a corner of the living room or home office to function as a couch, window seat, or guest bed. The ultimate in comfort and flexibility: Adjust side cushion quantity as needed or position against a wall and arrange pillows as a sofa back. 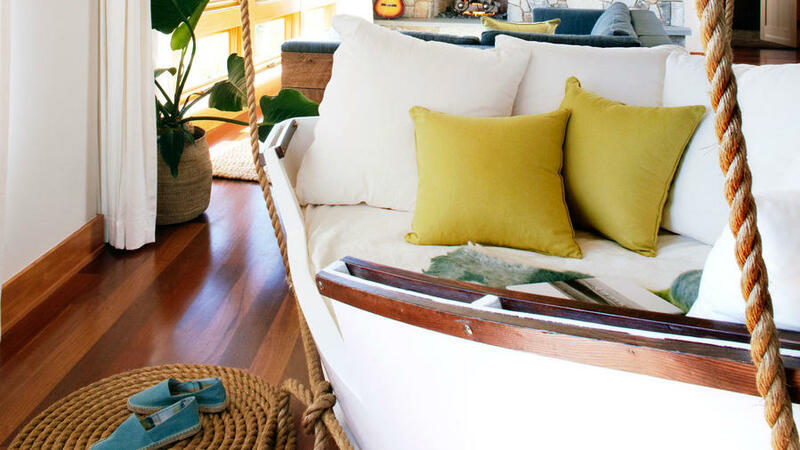 One of our favorite reuse projects: Portland-based interior design firm turned an old boat into a hanging daybed! 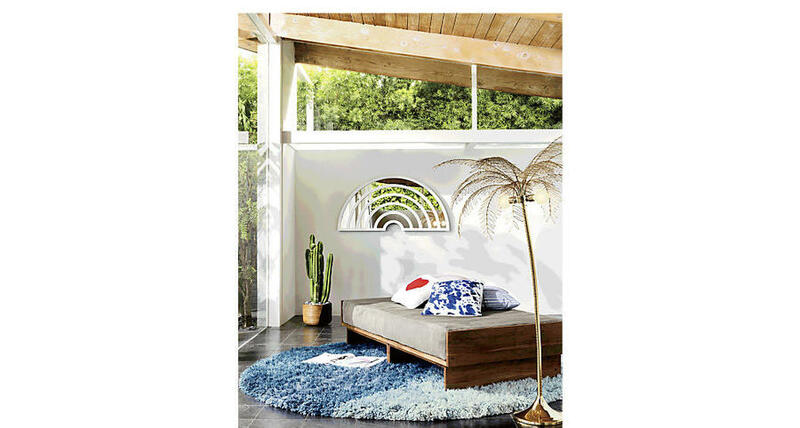 This gorgeous daybed's removable bolsters (available in dozens of colors!) make the piece transition easily to a guest bed. 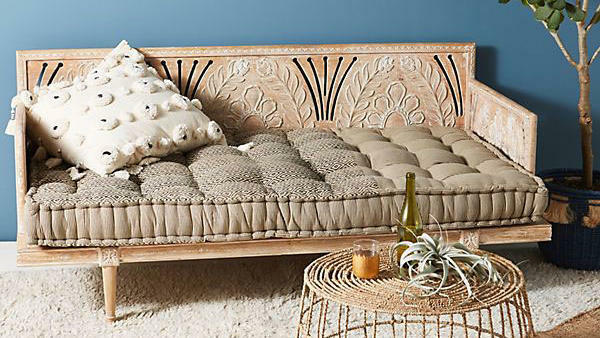 With a back frame, this daybed masquerades as a couch and is almost too beautiful to sleep in. 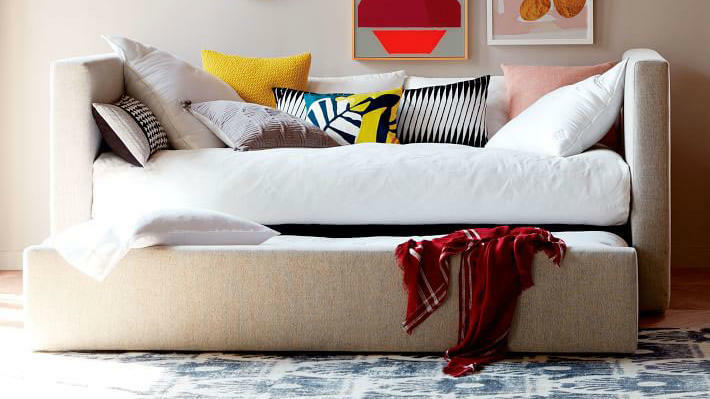 Mix-and-match pillows to enhance the bohemian vibe. Love mid-century design? 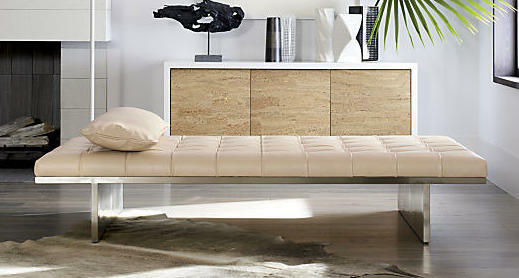 This is the daybed for you. Luxe leather tops a brushed stainless steel base, with a flat pillow replacing the traditional bolster.